When someone dies there are legal obligations that must be met with the Province of Ontario. We've compiled this checklist in hopes of providing you with some guidance in a time fraught with strong emotions and uncertainty. It is intended to be a general overview as each situation is unique and will come with its own set of requirements. Contact 911 immediately if an unexpected death occurs in your residence. If the deceased was under hospice care at the time be sure to notify them as well. If the death occurred at the hospital or in a nursing home speak with them about their processes. Look for records pertaining to organ donation and if found give to the doctor/hospice as soon as possible. Begin notifying friends and family as well as the deceased's lawyer, if any. Locate written instructions for arrangements. Arrange the burial or cremation. Locate the Will. 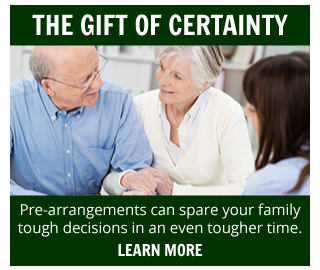 Contact the Personal Representative (may be called Executor or Executrix) and if applicable the Trustee right away. Locate insurance policies. Check for life insurance, funeral insurance, credit card insurance, property insurance, car insurance, etc. Locate deeds and titles. These may include vehicle titles, property deeds and membership certificates. Locate financial accounts. These may include RRSPs, bank accounts, stocks and bonds, investment accounts, annuities, etc. Locate other records. These may include income tax returns, disability documents, property tax records, loan papers, investment records, etc. Locate legal papers. These may include a marriage licence, domestic partnership registration, driver's licence, birth certificate, social insurance card, passport, divorce documents and military records. While you are going through the deceased's estate be sure to hold on to any documents that look useful. 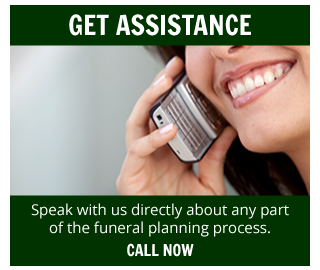 Ensure the deceased's home is in order. Look after the property and ensure pets are cared for. Gather personal information such as the names and contact information of friends and relatives as well as the deceased's doctors, lawyers and accountants. Keep an eye on the mail for regular bills. Cancel pensions and benefits such as Canada Pension Plan (CPP), Old Age Security (OAS) and Employment Insurance (EI). Notify any and all creditors. It can be beneficial to conduct a credit report to gain a complete picture of the deceased's credit history. Cancel any applicable services such as cable, cell phone and internet. Utilities may still be needed. Visit this Service Canada page for quick links to cancelling pensions and benefits. Take care of the financial obligations first and then work your way through to items that do not affect your day-to-day welfare or raise liability concerns.